I promise I've been washing my hair even though I haven't posted two wash days. I was extremely naughty my last wash day and I've come to report myself to you guys. That was week 2 of my regimen and I picked ayurveda because it's been so long. I finger detangled with oil before I began. Added a few tablespoons (total) of amla, shikakai, methi and bhringraj to warm milk (creamier than with water) + 1 tbsp honey + coconut and olive oils + a teaspoon of castor oil as par the Hairlista challenge. Massaged into my hair and scalp for an all-in-one strengthening and cleansing treatment. I rinsed out after an hour. I wanted to get my hair in a bun/ponytail, not an easy feat with hair 15 months post relaxer... so I took advantage of the running water to rake through and get my hair together. My hair was missing that soft feel that conditioner gives as ayurvedic treatments are not meant to soften, but it was stronger and I was happy. Tshirt dried, applied my Shea Moisture Restorative Conditioner and sealed with my oil mix. Put hair in a ponytail and pinned flyaways. 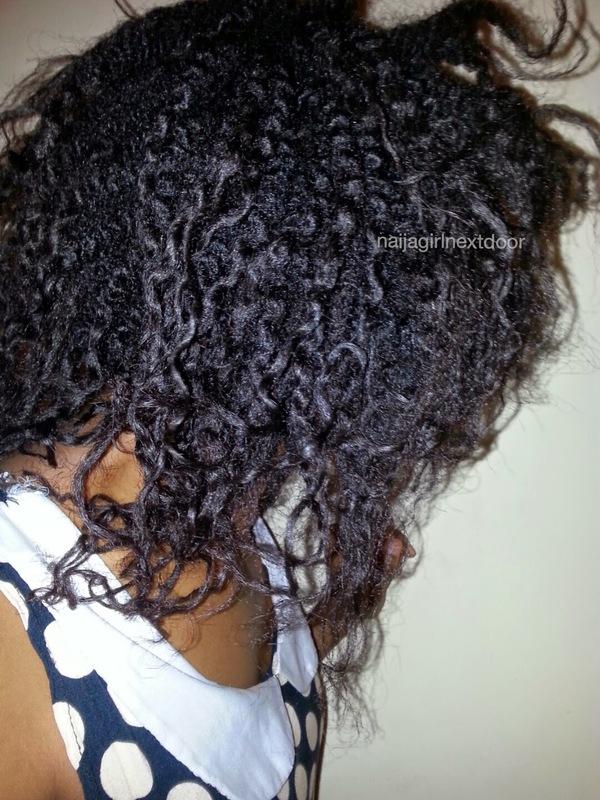 I wore in a bun for almost a week then did a perm rod set. Yes I got perm rods =D. Week 3: It was supposed to be another all-in-one with the SM Purification masque, but I also included in my regimen that I will do protein treatments as needed. My relaxed ends were starting to get this "why-bother, tired-of-life" look- thin, stringy, no volume whatsoever. Protein treatment: I had yoghurt which adds both protein and moisture, so I mixed about half a cup with one egg. I added nothing else because I had planned to wash and deep condition anyway. 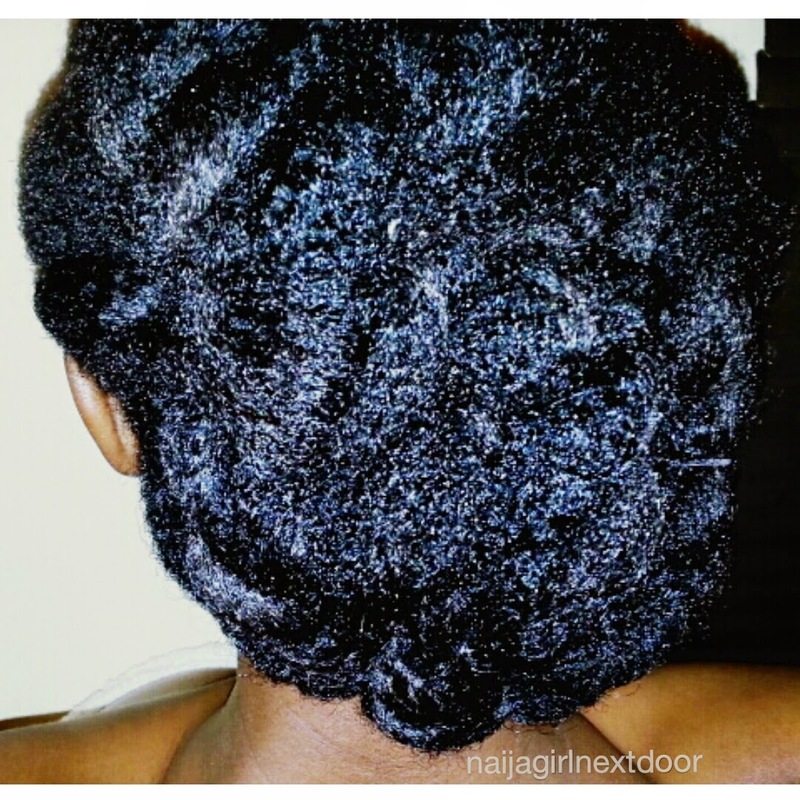 I covered for an hour with a plastic cap and then washed with Shea Moisture Red Tea and Babassu baby wash [reviewed] on my scalp alone. The runoff cleansed my hair and afterwards my hair felt really good. Ok ok, I was actually lazy. 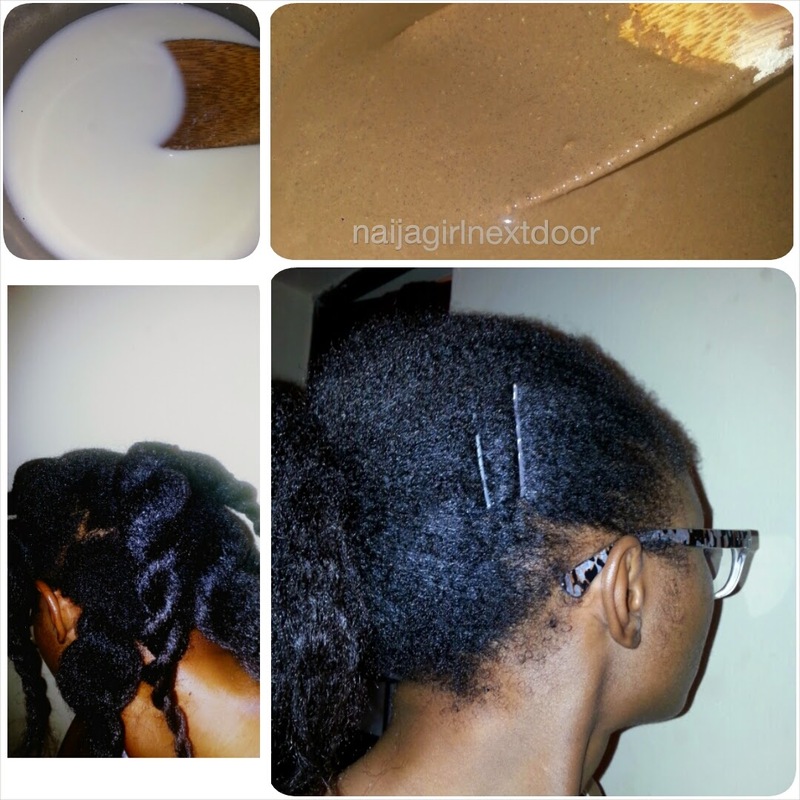 I sealed my damp hair with my Savvy & Chic Shea Buttercup and it felt decent. I have been doing simple updo's for work ever since. These were 4 large, roughly done flat twists with bobby pins in place to make sure no scalp shows. Why you should never skip your dc after a protein treatment- I didn't retain much moisture this week as a result and I've had a little more breakage from the dryness. When I wrote this last night I was doing a hot oil treatment to remedy my situation. More about that next wash day post. How was your wash day? 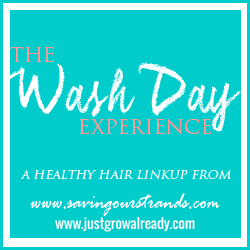 Join The Wash Day Experience to share. OMG you have a lot, I mean a lot of new growth. I remember the pain it was getting my hair into a ponytail, and my is shorter. The perm rod set came out very nice. Your perm rod set looked really nice. 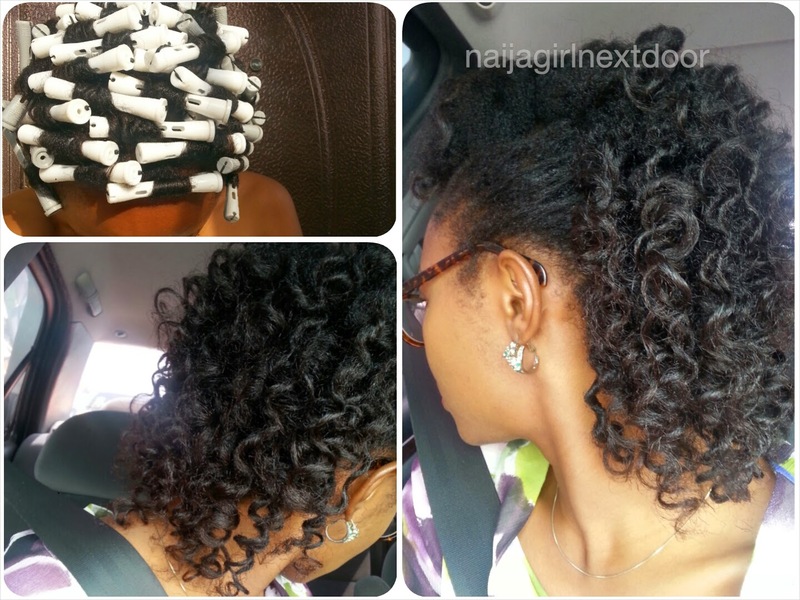 Your perm rod set looks fab! What products did you use? Y don't u use gels etc?